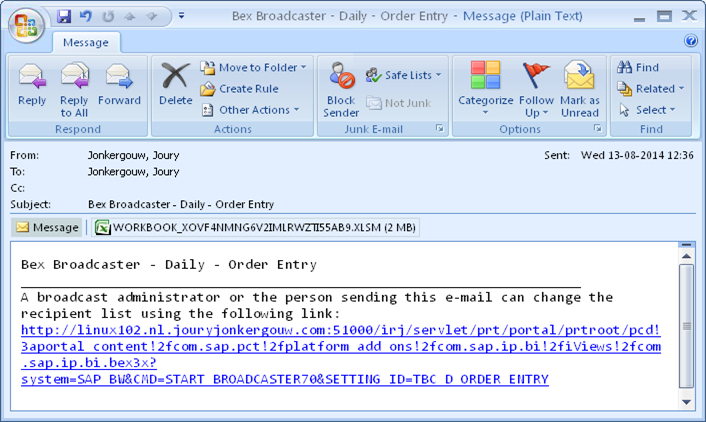 Per default an email footer is attached to every email which is send by the SAP BW system via the Bex Broadcaster. This footer contains a reference to the SAP portal. In some cases this footer is not applicable, for e.g. 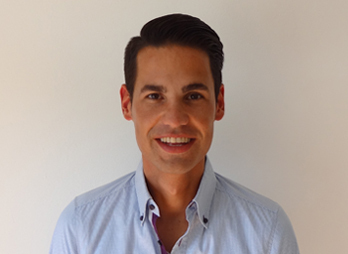 when an customer is not using the Bex Web Analyzer to execute reports. To prevent end users to get confused by seeing this footer it is necessary to disable it. This footer can be disabled by execution transaction code RSCUSTV29 and enabling the option suppress footer. Once done the footer message will magically disappear. 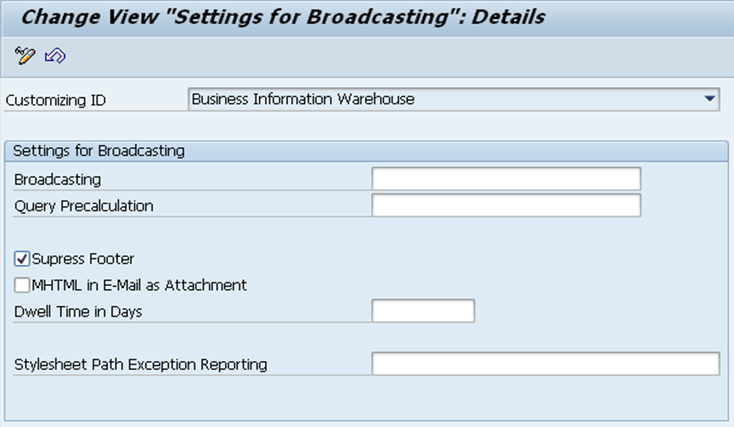 Some other (customizing) transactions related to the Bex Broadcaster functionality are mentioned in the table below.